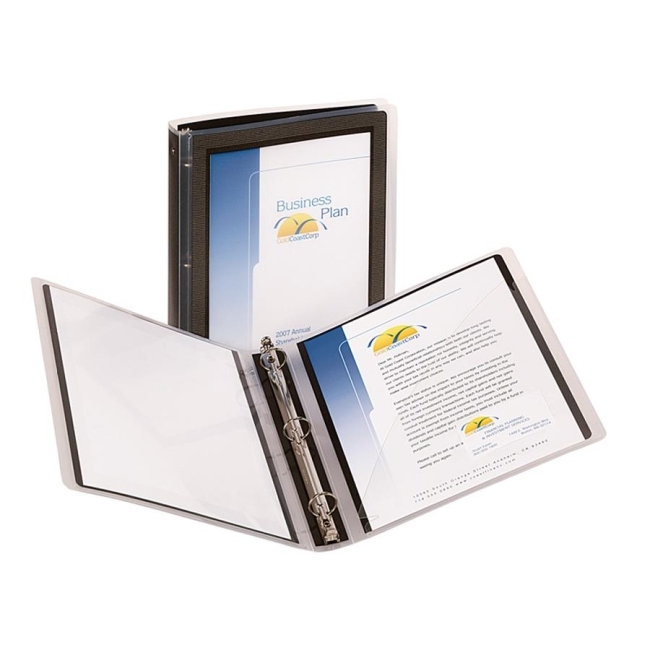 Avery Flexi-View Presentation Binder - 3 x Round Shape - 0.50"
Flexible Presentation Binder with round rings has a stylish graphic border on the cover that helps your work look professional and neat. Clear overlay allows customization both outside and inside. Lightweight design allows easy carrying. Made of sturdy poly material that prevents ink and toner transfer.